A practicing polytheist for over 25 years, Edward Butler received his doctorate from the New School for Social Research in 2004 for his dissertation "The Metaphysics of Polytheism in Proclus". Since then, he has published numerous articles in academic journals and edited volumes, primarily on Platonism and Neoplatonism and on polytheistic philosophy of religion, as well as contributing essays to several devotional volumes. 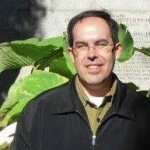 He also has a strong interest in Egyptian theology, and has written entries on over 150 Egyptian deities for his "Theological Encyclopedia of the Goddesses and Gods of the Ancient Egyptians", which he hosts on his site, Henadology: Philosophy and Theology, where more information about his work can be found.